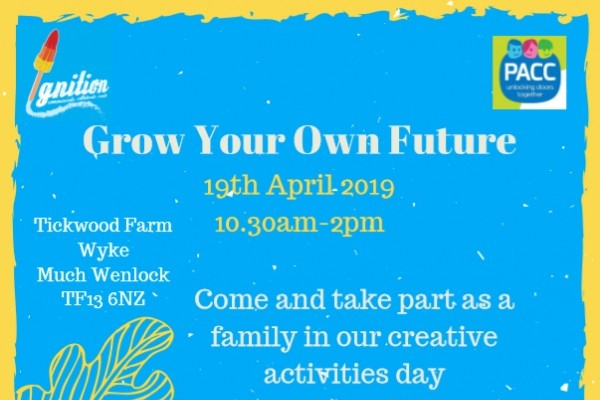 Help PACC to shape the Shropshire SEND Strategy by joining us at Tickwood on 19th April, to participate in a range of creative activities exploring what good looks like for SEND families. PACC and Ignition are working together to create a range of images, illustrating what a good life looks life for young people with SEND and their families in Shropshire, to be displayed at a Shropshire Council workshop planned for May 2019. The day is aimed at family groups, starting with creative activities and ending with an Easter Trail through the woods. Light refreshments will be provided throughout the day but feel free to bring your own picnic.